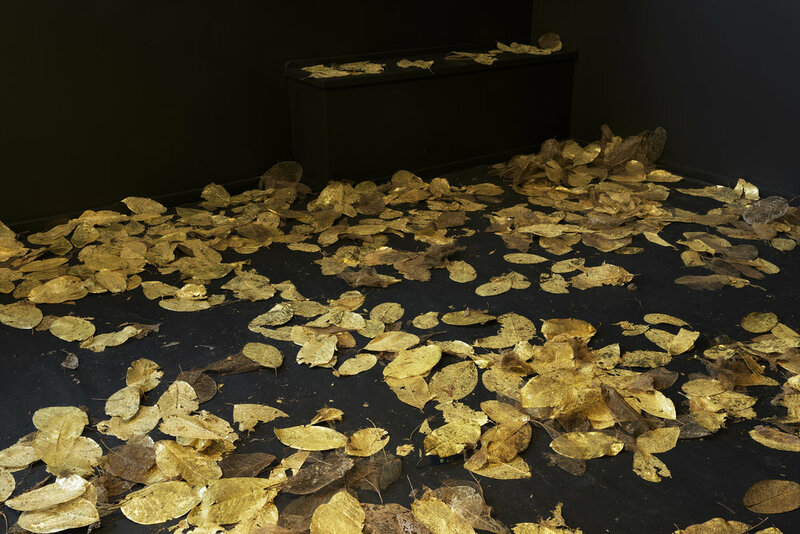 For the duration of the exhibit, Viewers were invited to touch the leaves, pick them up, step on them and play with them. Pictured here are the leaves at the beginning of the show. 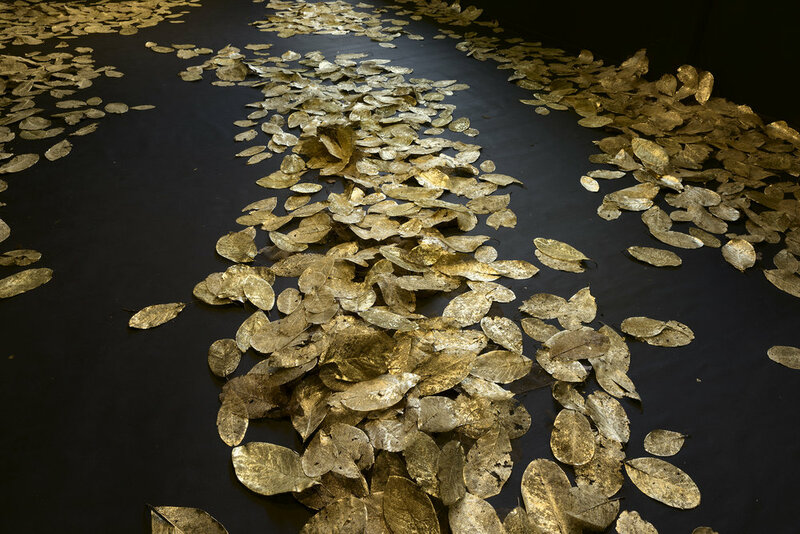 For the duration of the exhibit, Viewers were invited to touch the leaves, pick them up, step on them and play with them. 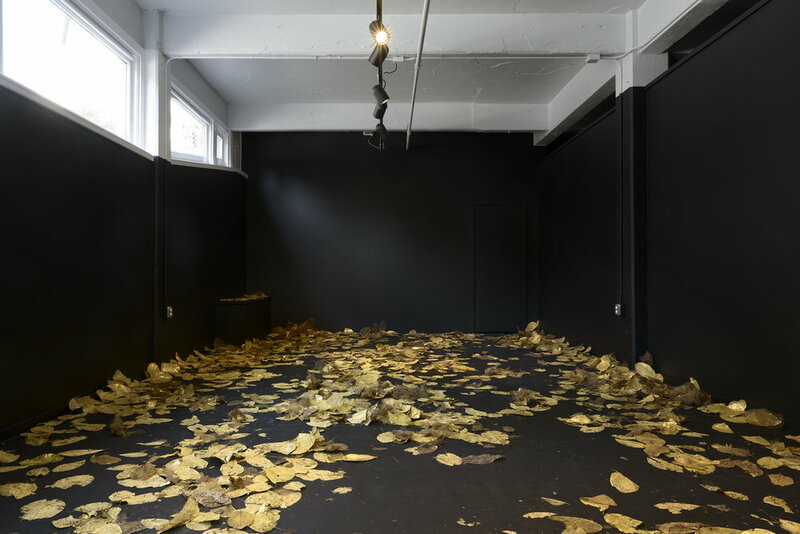 For the duration of the exhibit, Viewers were invited to touch the leaves, pick them up, step on them and play with them. Pictured here is the aftermath.